B-41, Sector 72 Noida - 201301, U.P. Indosam Infra Pvt Ltd is a premier real estate company in the NCR. This company seeks to build world-class residential projects that are innovatively designed to cater to the needs of today’s customers. Their motto is to ensure complete customer satisfaction by building trust-based partnerships with the clients, fostering a performance-driven culture and responding to the latest market conditions. 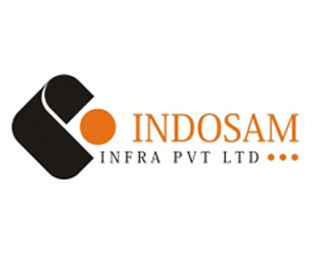 Indosam Infra Pvt. Ltd. has a mission of offering the highest quality construction at fair and reasonable prices to clients across India without compromising on their core professional values. One of their most prominent residential projects is Indosam 75. This project, along with all the other projects built by Indosam Infra Pvt. Ltd., is meticulously planned and executed according to international standards of design and construction and comes with a wide list of amenities and facilities to ensure a completely luxurious lifestyle for the residents. All projects built by this leading real estate company are known for their strategic locations and timely delivery of completed units. The team of energetic professionals and experienced Directors at Indosam Infra Pvt. Ltd. take great pride in their corporate philosophy which values integrity, professionalism, honesty, fairness and a commitment to excellence and dedicated customer service.